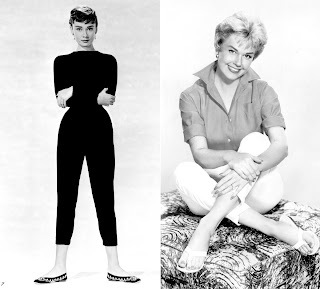 Retro style Capri pants inspired by images of my favourite classic actresses Doris Day and Audrey Hepburn. 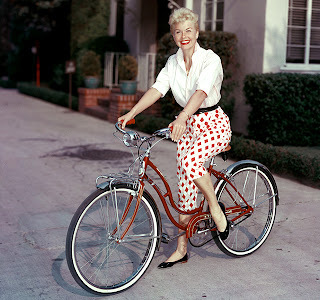 I like colourful summery print at Doris Day's capris and if I had more leisure and vacation time in my life I would love to make something like this. But since I spend most of the time in the city I chose more classical print. It is black and white fine check in retro style. The fabric is a blend of cotton, polyester and lycra. I think Burda very much reproduced the real 50s pattern. 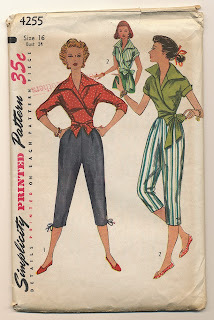 Just compare this picture with Burda pattern. 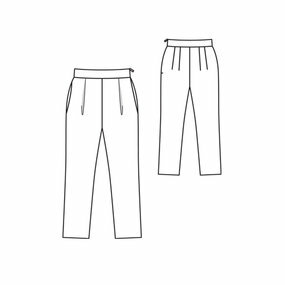 I didn't make any changes in the pattern, the only alteration I've made, I took ~ 1 cm in side seems below the pockets. 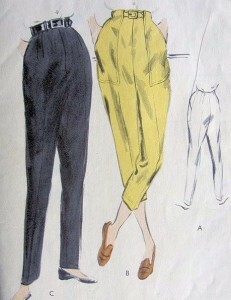 I am pleased with Burda retro style patterns that they include in several last issues. As many others I am fond of that period and find 50s fashion very appealing. Now after finishing this pants I need to think about some matching top. 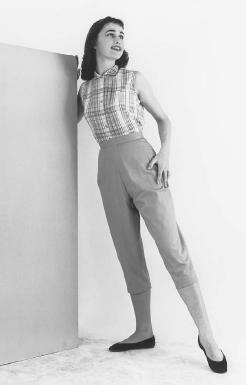 Of course I can wear them with my regular T-shirts and tops but I like how in 50s they complimented Capri pants with close-fitting blouses and jumpers like at the following pictures. ﻿This wrap blouses and the whole outfits are beautiful. Should think about making something like this.